There is no such thing as a perfect writer. Even the ones whose writing seems impeccable have put their writing through some kind of editing process. Many writers hire professional editors, but if you are a new writer and cannot afford one, you can always edit your own work. If you do in fact have an editor, it is still a good idea to edit your first draft. Sometimes we make mistakes that can be easily corrected by reading through our work and this saves you a lot of time and money later. Some writers do not see the point of editing their work if they are paying someone else to do it for them. It is all about being professional, and you want to be seen as a serious writer. Many editors also charge per hour, and you can bring that rate down by doing your own editing first. Here are some reasons why you should always try and edit your first draft by yourself. When someone else edits your work, they may misunderstand the message you are trying to communicate with your audience. By editing your own work, you have an opportunity to make sure that your storyline is correct. This will ensure that the editor understands what you are trying to achieve and it could give you a better outcome. Reading your complete first draft is a great opportunity to fall in love with your writing again. Do not worry about the mistakes in the first draft because it’s always going to be the case. Just pay attention to the flow of your story and admire your beautiful writing for a while. It is going to give you so much confidence going forward. You can always use a grammar checking tool such as Grammarly if there are sections that you are not happy about, but do not beat yourself up at this point. There is so much you can learn about your writing style and common mistakes. Being a writer is not about being perfect from the get go. Pay attention to the mistakes you are making and learn from them. If you edit your own work, you are more likely not to repeat the same mistakes going forward. You may not even be aware of what editors correct, especially if you have a bad editor. Take it upon yourself to get the job done first before letting someone else give you their opinion. Look at your work from an outsider’s perspective and check if your writing would make logical sense to someone else. I don’t mean that your writing has to be true and factual, especially if you are writing a fiction story. Just make sure that the reader will be able to relate and follow what you are saying. I am sure as a writer; you are also an avid reader. Every book has some sort of logic going on, and even if the story is so far-fetched from reality, you are still able to take your imagination there. If some sections do not seem logical, find a website that rewords paragraphs and you should be good to go. Some of us think that our writing is flawless and that we are going to reach fame and fortune status rapidly. Unfortunately, we always get the same slap in the face that brings us back to reality. Taking a critical look at your work through the editing process is going to teach you not to overlook obvious mistakes just because you are biased. It may be painful emotionally, but you are going to grow a thick skin and start editing better with time. When you do this, you are not putting yourself down, but merely understanding that you are human and you make mistakes. The beauty of this is that you can correct your mistakes before the world sees them. A great way to keep your sanity and not lose confidence is to do a technical proofread only after editing your work. When you edit, you do not pay attention so much to what is written, but how it is written. 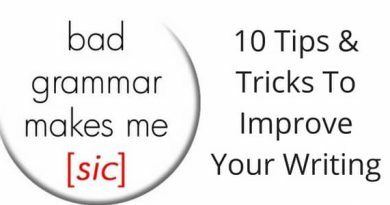 After that, you can double-check your grammar and proofread your work and make sure that the flow and structure are good. This is where you are going to gain a lot of respect for your writing capabilities. You are a great writer, and your work will reflect that after editing out the mistakes. Be kind to yourself at all times and think about all the hard work that went into that first draft. Also, take a minute to appreciate the improvement you made during your editing. Now that you have edited and proofread your first draft, it is time to sit back and admire your will power. You have poured all you could into this, and you can be proud of that. With the use of your trusty online paragraph rewriter, you were able to do it all by yourself. Some writers do not put in as much work as you just did and for that, you need a pat on the back and the loudest high five. You did not quit when things got tough, but instead, you finished the race, all by yourself. Now tell yourself that you are a rock star and move on. The writing process is challenging, and you may feel like it will never end, but you are going to have to push through because the reward is well worth it. If you want to be the best writer you possibly can be, there is going to be hard work and maybe some sweat and tears. With this being said, the reward is so beautiful that you are going to want to go through the process over and over again. There is something so satisfying about editing your own work, and you should not deny yourself that privilege.